As General Motors tries to hammer out a deal to sell its long-struggling Europe business to PSA Group, one multibillion-dollar issue looms large: how the companies will manage an underfunded pension plan for retirees. GM’s pension plan for Opel and Vauxhall retirees is underfunded by about $9 billion, according to data compiled by Bloomberg News. PSA would like GM to keep a big chunk of that responsibility, if not all of it, said two people familiar with the discussions, who asked not to be named because talks are private. There’s a lot at stake for both companies. GM would like to exit Europe and doesn’t want to shoulder the entire pension burden for a business it would no longer own, one of the people said. PSA is willing to take on GM’s troubled business but would prefer to avoid responsibility for the retiree benefits once a deal is done. Spokesmen for GM and PSA declined to comment. Although Detroit-based GM doesn’t disclose the size of its European pension liabilities, the company said in a filing earlier this month that its non-U.S. pension plan had about $24 billion in obligations and was underfunded by about $11 billion as of the end of last year. GM also disclosed within its filing that about 91 percent of non-U.S. pension obligations were in Canada, Germany and the U.K., meaning those three countries represent about $10 billion of the pension shortfall. The largest Canada plan covering the bulk of GM retirees has about $7.5 billion in obligations and is underfunded by $800 million, said Corey Vermey, a national representative in the pension benefits department at Unifor, the union that represents GM’s workers in Canada. That leaves about $9 billion in unfunded pension liabilities in Europe for GM and PSA to bargain over. In Europe, companies aren’t expected as a rule to back pension plans with assets to the same degree as in the U.S., where there are mandatory funding requirements. So topping up the fund with cash isn’t a prerequisite to GM and PSA getting a deal done. One proposal on the table has PSA paying about $2 billion for Opel and Vauxhall, people familiar with the matter said last week. That’s $1 billion for the purchase price and $1 billion toward liabilities, leaving GM to take on the lion’s share of the unfunded pensions. For GM, even if it has to take on a large chunk of the pension liabilities, selling Opel gets rid of a division that’s lost more than $9 billion since the automaker emerged from bankruptcy in 2009. Last year, the company reported almost $1.2 billion in capital expenditures in the region. It could be worth it for GM to assume a big portion of the pension liabilities over time in order for the company to cut its losses, especially if it doesn’t have to pay for future restructuring, said Maryann Keller, an independent auto industry consultant in Stamford, Connecticut. GM could redirect what its European capital budget used to be to boost development of new models in the U.S. and China, including self-driving cars. “If PSA is going to take responsibility for job loss and consolidation costs, then it makes sense for GM,” Keller said. In addition to the cash demands, GM has voluntarily put nearly $3 billion into its non-U.S. pension plans over the past three years, with much of it going to Europe. The company expects to put another $970 million into non-U.S. pension plans this year, according to the regulatory filing. 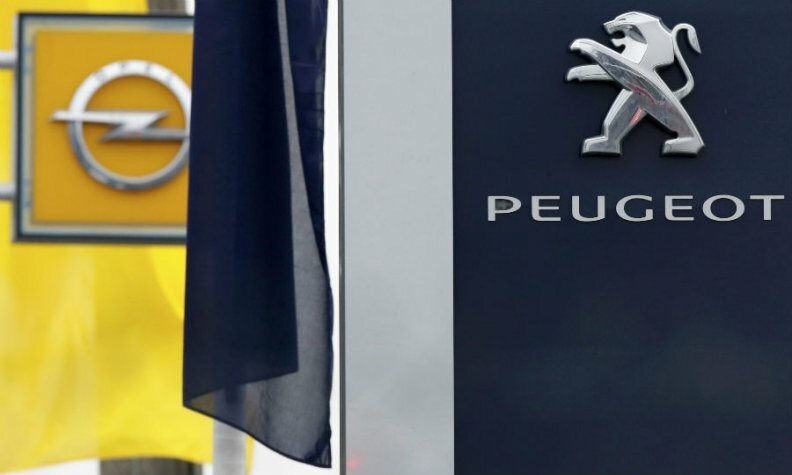 PSA might be willing to take on Opel’s losses if the pension burden is reduced because CEO Carlos Tavares sees at least $1 billion a year in savings by combining the two companies, said a person familiar with the company’s thinking. By sharing engineering, engines, transmissions and the platforms that underpin their models, Tavares sees opportunity to boost profitability. There, too, GM and PSA have work to do before striking a deal. They will need to firm up details on such issues as intellectual property, engineering and parts for the Opel and Vauxhall models PSA would be building, Keller said.